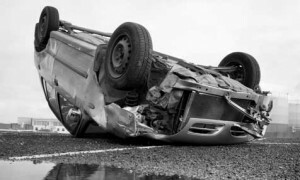 Accident – What To Do - Orleans Collision Centre Inc. If ever you are involved in an accident, here is a checklist of items that you can do to help the process work smoothly. And further down the page are a series of frequently asked questions that we hope will also be helpful. Turn off your vehicle and turn on emergency flashers. Do not move your vehicle unless it is unsafe. Are you injured? Stay inside your vehicle if you are. Ask if other people involved in the accident are injured. Exchange information with other parties. Do not leave the scene of an accident. Document what happened. Even the small details can be important. Check for witnesses and get their names, addresses and phone numbers. Cooperate with police and emergency services. If your vehicle can not be driven from the scene, have it towed to the repair facility of your choice. Full names, addresses, phone numbers of other people involved as well as insurance information, license number, vehicle plate number and the make and model of the vehicle. Yes, it is required by law for any accident with damages exceeding $1000.00. It is also for your protection against what can happen later. In many cases, the damages are minor and drivers may want to settle the damages without involving their insurance. Who decides fault in an accident? You should never admit guilt at the accident scene. Be honest and cooperate with police and your insurance company. They will determine fault in the accident. Who decides where my vehicle will be repaired? You, the owner decides. Your insurance company may make some recommendations but the final decision is your’s. Why do collision centres repair vehicles with used or aftermarket parts? Many insurance companies require repair centers to repair vehicles with used or aftermarket parts. Depending on the insurance company and the policy on your vehicle will determine what parts to use. Will I get a replacement vehicle during the repairs? A rental vehicle can be arranged during repairs of your vehicle. In most cases it will be covered by your insurance policy. What if the third party decides not to pay for the repairs? This is one of the reasons why we recommend a police report. If you need to claim through insurance, the report has already been filed with police and in most cases fault has been determined. When is a vehicle determined a total loss? If the vehicle has damages exceeding its value, if the vehicle cannot be repaired to meet the manufacturer’s original specifications. Every insurance company has a set of guidelines they follow to determine reparability. We hope our accident checklist and frequently asked question section will help. The car looks great. Thank you. I am really pleased and would be happy to recommend your service. Caroline. I'm amazed how you were able to completely get rid of the dents in our car from the hailstorm. I was expecting to see slight imperfections while looking at reflections on the hood, but saw nothing. Thank you Denis, it's like new. Dylan. Thank you so much for doing such a great job on our car, it looks like new. Much appreciated, sincerely, Linda. Orleans Collision helped me avoid a potential nightmare with a used vehicle I was looking to purchase. The previous owner downplayed the accident it had been through saying it was very minor. I brought the vehicle to Orleans Collision and Denis gave it a once over. His words after examination were. This vehicle has been in a MAJOR car accident. Needless to say and didn’t buy the used vehicle. Thanks Denis, you were a big help. Dan.